Many working mums like myself find that our weekends are just as packed as our work weeks. With little time to spend with my daughter from Mondays to Fridays, the weekends are when I tend to cater more to her, eschewing any “fun” stuff like window shopping or catching the latest horror movie, in order to accompany her on her activities ranging from Chinese drama classes to swimming lessons. This past weekend I bade mum guilt goodbye, and asked for a “hall pass” from my husband who went solo on our usual Saturday morning run so that I could take time to try out a Platinum Facial from La Prairie. While not all aspects of self-care need involve actual pampering with facials and massages, they can play a part in helping to destress after the preceding work week, and help recharge your batteries for the week ahead. Many women with family responsibilities find it hard to carve out time for themselves for a variety of reasons, and from my experience, men do not seem to have that problem. The beauty treatment then begins to have a two-fold benefit — the result (be it lush lashes or well-massaged feet) as well as the deeper, intrinsic benefit of giving the individual breathing space and a sense of wellbeing. 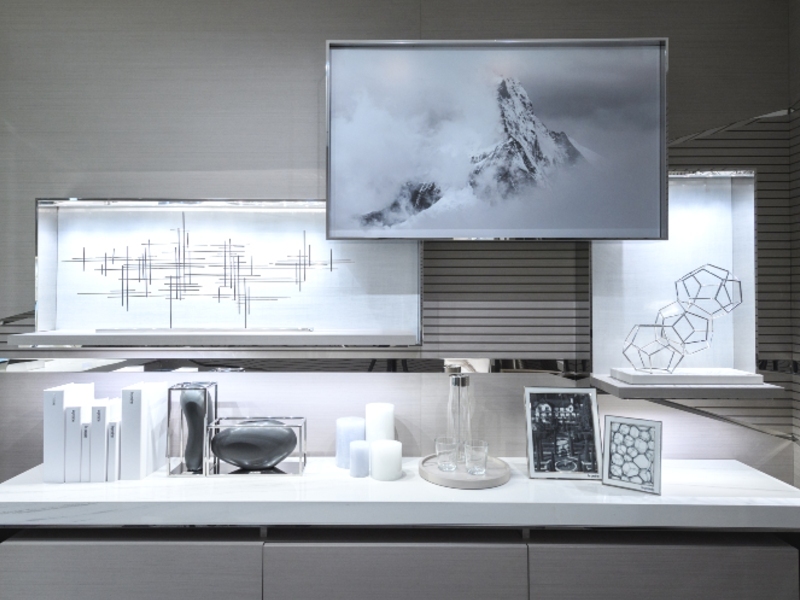 Swiss brand La Prairie is known for combining the best of luxury and technology in its products and has recently revamped its facial cabin located on the first level of Takashimaya Shopping Centre. Usually I prefer not to have treatments in shopping centre cabins as the background noise — think announcements on the PA system and the usual din of shoppers — tends to seep in and detract from the relaxing ambience. Happily, La Prairie’s new cabin, that is discreetly tucked away behind its spanking new counter is relatively soundproof. 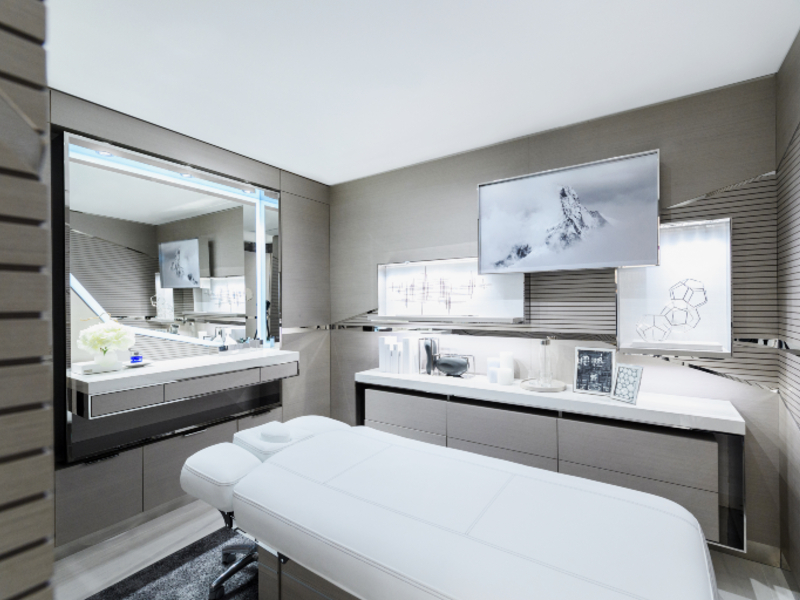 La Prairie’s new facial cabin in Takashimaya boasts a leather bed with adjustable maneuverings that was imported from Italy. 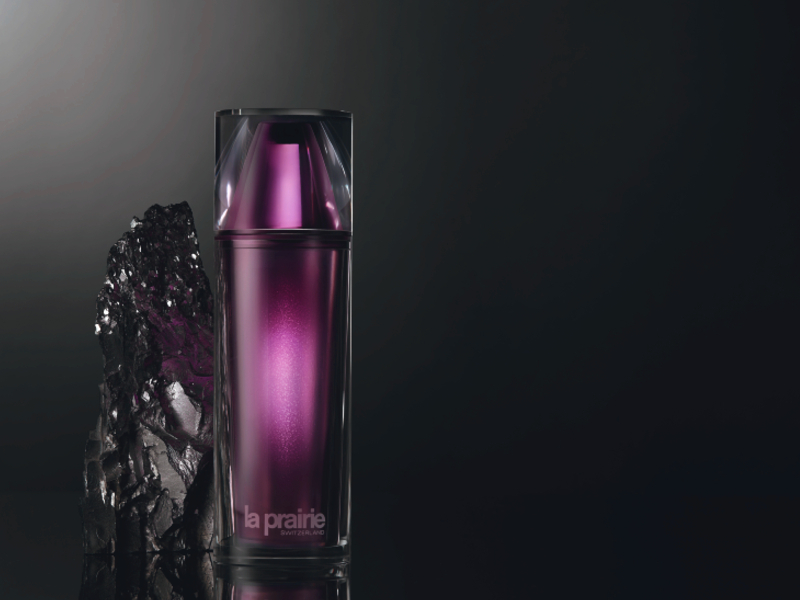 Image courtesy of La Prairie. The space is cosy but spacious for a facial room and is tastefully decked out in a cream and neutral colour scheme. One of the key features of the room has to be the facial bed that was specially imported from Italy. In keeping with the luxurious feel of the space, the bed is fully lined in leather with just the right amount of firmness and support. Because it has an electrical maneuver system, the bed can be adjusted to the exactly the right configuration so that you’re comfortable and perfectly angled to receive your facial treatment. It may seem like a small detail but if you’ve ever experienced neck aches or general discomfort during a facial, you’ll understand how this is crucial to the enjoyment of your treatment. My facialist Cherry told me that the facial would comprise of not one, but five massages: A back massage, two face massages, an eye massage and a hand massage using products from the brand’s premium Platinum Rare range as well as a few additional products. In order to try this facial, which cannot be bought outright, customers have to purchase the range’s new Platinum Rare Cellular Life-Lotion, that costs a cool $1000. The Lotion is a essence-in-lotion that boosts the skin’s detoxification process and resets it so that it’s ready to receive the subsequent products you use. La Prairie Platinum Rare Cellular Life-Lotion, $1000. Image courtesy of La Prairie. My first introduction to the Platinum range was to the La Prairie Cellular Cream Platinum Rare, a cream so exquisite in texture and so rejuvenating that you have to try it to believe it. Because it’s so rich, this cream — tinted an unusual grey hue because of the platinum ingredient in it — need only be used sparingly. I’ve taken this on winter destinations and this really hydrates the skin and protects it from harsh weather conditions. The facial begins, rather unsually, with a full-on back massage. What this does is that it signals the start of your pampering experience, by preparing you mentally, physically and spiritually to attain full body relaxation. Using firm strokes that never veered into being painful, Cherry helped to release some of the knots and tension from my shoulders and neck area — a bane of most deskbound workers. Once I turned over to start the facial proper, my therapist started with a cleanser and toner, before applying the new Platinum Rare Cellular Life-Lotion which has a comforting, hydrating texture, to prepare my skin for the rest of the luxurious potions, lotions and essences that would be meticulously layered on and massaged into it. As the facial doesn’t employ any machinery or painful extractions, it’s a pretty relaxing experience from start to finish. In order to help exfoliate the skin, the Cellular 3-Minute Peel, a resurfacing mask from another range, was applied and wiped off. The massages that came after followed precise steps — think firm kneading and alternating pressure according to the different needs of various parts of the face — in order to aid in circulation, toning and drainage. The interior of the facial cabin is decked out in a soothing palette of creams and neutrals and also contains commissioned sculptures that nod to the artistic leanings of the brand. Image courtesy of La Prairie. I especially liked that Cherry concentrated on the eye area with a specific massage using the La Prairie Cellular Eye Essence Platinum Rare, as I had been looking particularly tired as of late. After the massages, the Cellular Hydralift Firming Mask was applied while Cherry massaged my hands. Once the mask was removed, it was time to layer on all the Platinum products — starting with the Life-Lotion and ending with the Eye Cream Platinum Rare. As this range is designed to treat visible signs of ageing like wrinkles and a loss of firmness, the multiple products are very rich when layered on. This treatment is best suited to those with mature skin and/or women in their late 30s and onwards. When I emerged from the 90-minute facial, I definitely feel well-rested and ready to take on the week. Because there were so many massage elements, this definitely felt like more than just product application. On the skin, the Platinum Rare products initially felt slightly heavy — this is Singapore after all — but soon enough the multiple layers of serums and creams sank into the skin. An immediate glance in the in-cabin mirror revealed a rejuvenated reflection: My dark circles were diminished and skin had that plump, dewy, post-facial glow. I didn’t think much of it after that, but come Monday a colleague remarked that I looked different and had a glow about me, even though I hadn’t worn any makeup that day. It took a while for it to click, but I realised the improved circulation and luxurious, anti-ageing products from my Platinum Facial had done its work. Not a bad way to spend a Saturday afternoon. The La Prairie Platinum Facial (90 minutes) is available at the La Prairie Counter, Level 1 Takashimaya Shopping Centre with the purchase of the Platinum Rare Cellular-Life Lotion. Call 6738-1111 for more details. The ‘Wellness Wednesdays’ column promotes mental wellness, encouraging females to take an hour out of their hectic schedules every week to invest in self-care and wellbeing. This comes in lieu of ELLE UK’s investigative piece which highlighted the fact that beauty treatments may be plugging the gaps when mental health services fail.